Let's say they offer a referral programme and you get on board all of your family and friends! After all, it has tickets to the show that you like, similar to ticketmaster and others. "Hmm I will use it to one of the shows"
and suddenly all the credit disappears. Wait whaaaat? Yep. According to todaytix, someone used the referral code in an illegal way. Who? No one knows. 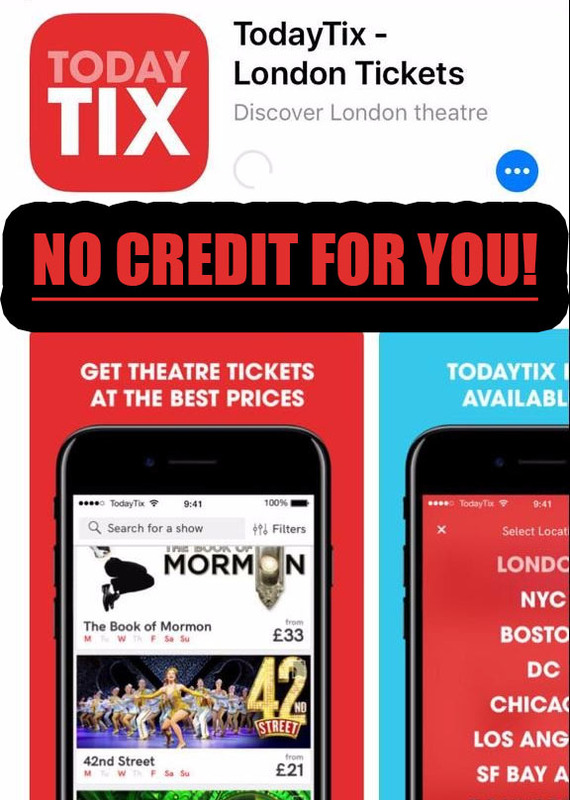 From what it looks, it can be even TodayTix themselves do those illegal actions with the codes just not to pay their customers their well-deserved money. For me, this is the worst customer service there is. And I am really on the verge to give them one star in the digital store. What do you suggest I should do? After all, I did work hard for this money.